This tool offers a detailed index of the 1881 and 1901 censuses from the province of Quebec, as well as the 1881 census from the province of Ontario. This tool indexes a total of 5 012 907 individuals. The search engine allows you to search in every field contained in the census. Note that these fields differ by census. 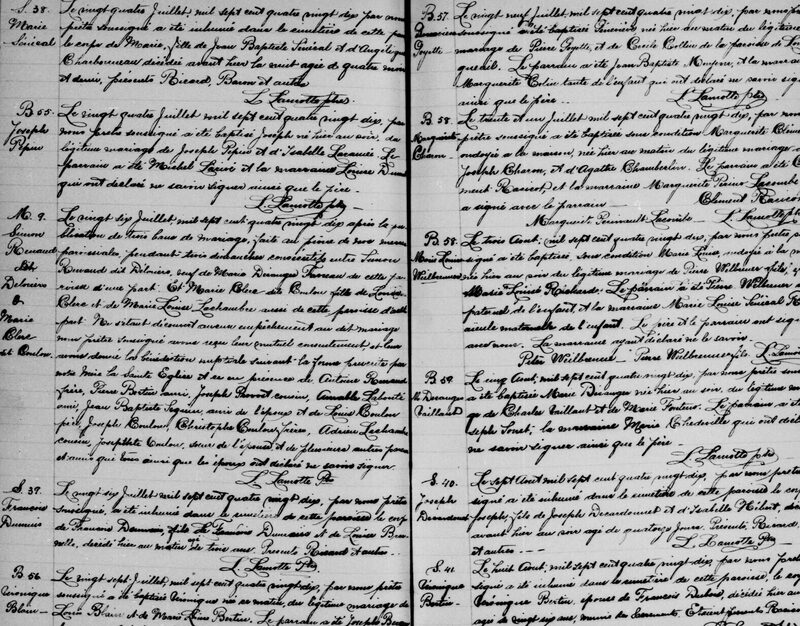 Please note that the original image of the census isn’t available in this collection. 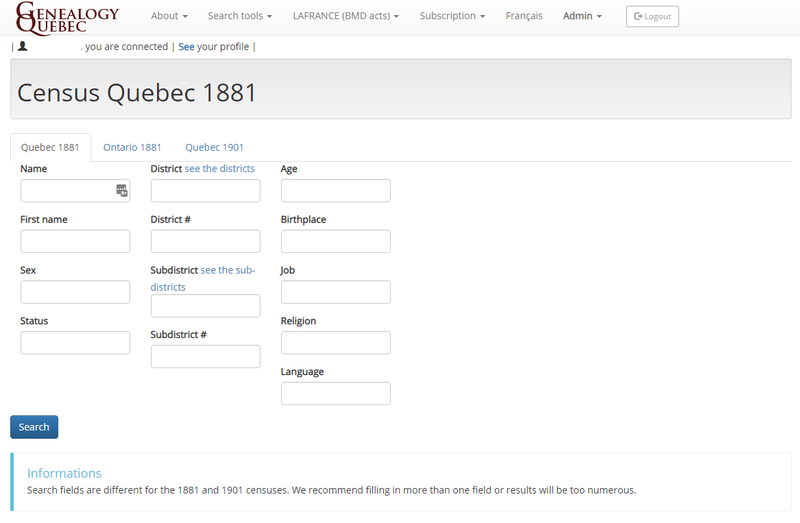 You may view this collection with a subscription to GenealogyQuebec.com at this address.